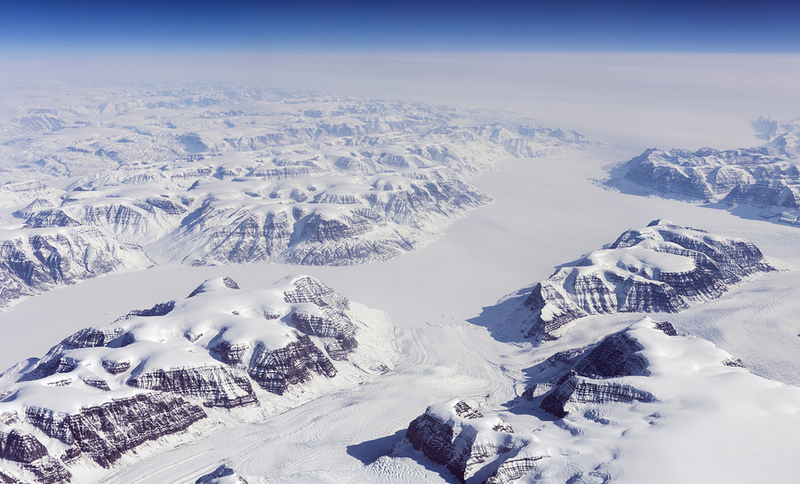 Images published by NASA have revealed the startling pace in which glaciers are melting in the country of Greenland. Unfortunately the world’s rising temperatures mean that nuclear material at Camp Century may be revealed after originally being buried in more than 20 feet of ice sheet. 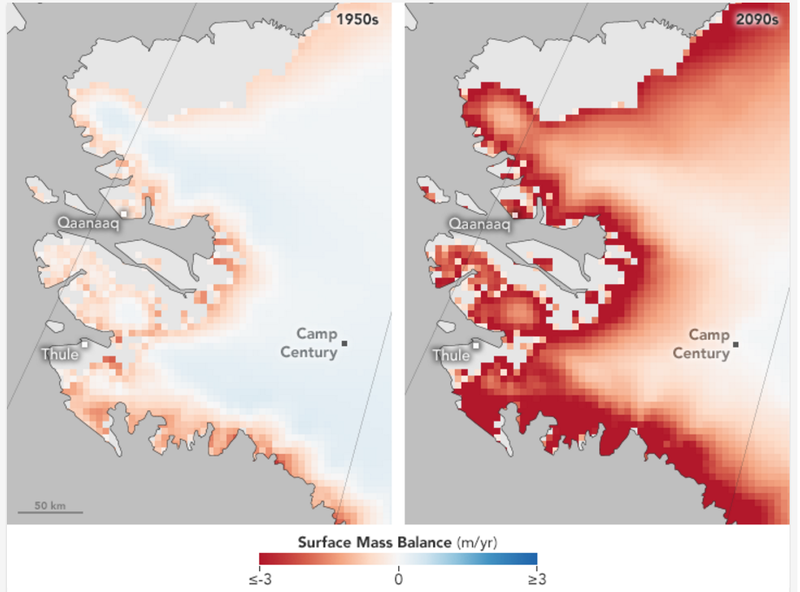 The maps show changes in surface mass balance, which is the net change between the accumulation and ablation of snow and ice on the surface of the glacier. It is estimated that Camp Century contains 200,000 litres of diesel fuel, and 24 million litres of waste water, including raw sewage. At this time it is unknown how much radioactive waste is being held by the ice, and there are fears that liquid meltwater could carry the materials deeper and further downhill before the surface melting occurs. The facility was abandoned in 1967 and the nuclear generator stationed at the camp was removed and in 1963. Since the ice cap is in constant motion, spreading outward from the centre of the island, the reactor room had dropped and had to be lifted five feet in 1962. It was then shut down for maintenance in late July 1963 but never switched on again after the US Army decided to run the camp as a summer-only operation.